Oops? A child died? Apply to all? 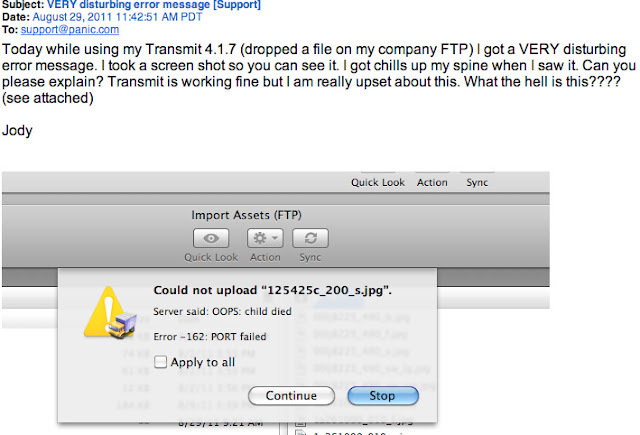 I doubt that Jody is the first user to be disturbed by this VSFTP error message. Programmers: please consider how your messages to users might be interpreted by those who don't have a deep understanding of your code or technology.